She did not want her children to feel what she had felt when she was young, nor have to ask the questions she still was asking. Did my parents not want me? Though her relationship with her family was healed, the pain of that scar returned time and again. She did not know that it was that nagging pain that gave her the strength and fortitude she needed to be able to face the enormous decision ahead of her. The Second World War was over at last. Anna was exhausted. The trials of the years had worn her out. Though she had come from China to rest in Finland, the war years had not given her the rest she needed. Suggestions were made that she could send her children to Sweden for safety, as 70,000 other Finnish children had been sent. That was not an alternative for her. Anna had previously been in China five and a half years; years that had shown her the stark reality of what it cost to follow the way of the Cross. Several missionary colleagues had died; some killed by bandits, some through diseases, and some by stray bullets. She knew families who had lost children, wives who had lost their husbands, and children who had lost their parents. Her husband, Toimi, had been close to death several times. The first time was when five robbers were ready to shoot him to get his bicycle. They agreed to let him speak before they pulled their triggers. He shared the story of God’s love for them and His willingness to forgive their sins through the death of His Son on the Cross. Tears ran down the rough faces of the would-be murderers. Toimi’s life was saved. In the summer of 1937, a very severe attack of sunstroke had endangered Toimi’s life. In September of that same year, he was in the hospital dying of typhoid. His sister-in-law, Martta Yrjölä, as well as another Finnish missionary, Aune Läärä, had just died in the same hospital. His first-born son was a few days old, also in the same hospital. The doctors had no hope for Toimi’s recovery. Still, in the midst of distress, God gave him a vision for his future. He sat up in bed and asked for a paper and a pen. He drew a ship that was to carry the Message of the Gospel to the coastal areas of many countries. Finally, malaria drained what was left of his strength. That was when the decision to return to Finland in 1939 was made. Toimi had been in China ten years at the time. 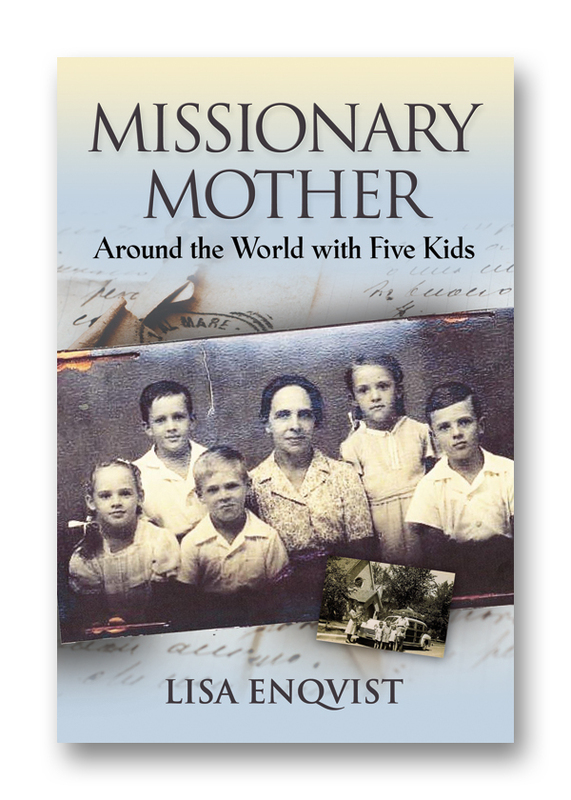 A short visit to Finland in 1935 gave him the opportunity to bring ten new missionaries to China in January 1936. Four of them died within the first three years of their arrival in China. With these experiences in the past, the decision to return to China and risk the lives of any, or maybe all of, her family members was anything but easy. The more acute problems were closer to home at the time: How could her small baby, convulsing for the slightest disturbance, survive an arduous journey? Where could she get material to make clothes for her growing children when the war had emptied all resources? Anna read the Bible daily and often found comfort and strength in the words she read. At times, the words seemed to come alive with new meaning for her situation. This was one of those times. The promise to Cyrus in Isaiah became God’s promise to her. ‘The gates of bronze’ in this case was little Anna Lisa’s convulsions. ‘The bars of iron’ was the lack of fabric to make clothes for the children, and for that matter, the lack of funds and all supplies for a very long journey. The hidden treasures, both material and spiritual, which she was to find in the years to come, were far beyond anything she could imagine at the moment she made her decision to go to China with Toimi together with all of their five children.